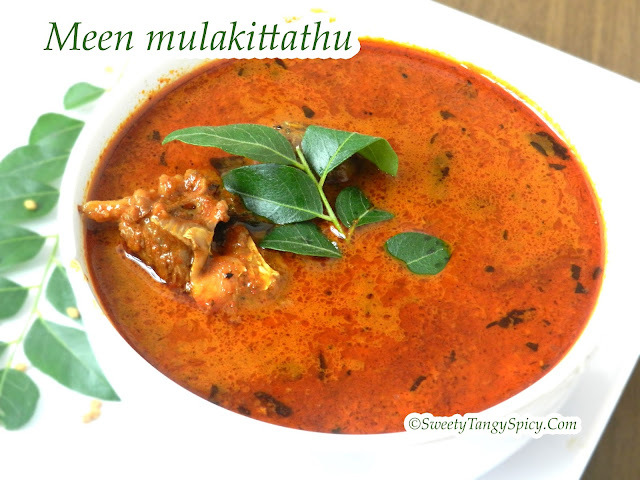 I already posted fish curry with coconut milk in the beginning where the fish pieces are cooked in coconut milk. Today another method of preparation of fish curry without coconut milk, but a very spicy dish. This curry is usually served in toddy shops of Kerala. 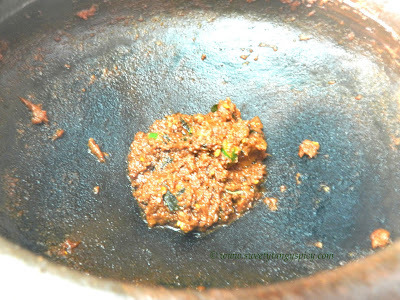 The steamed, mashed tapioca / kappa with spicy fish curry is one of the favorite dish among keralites. 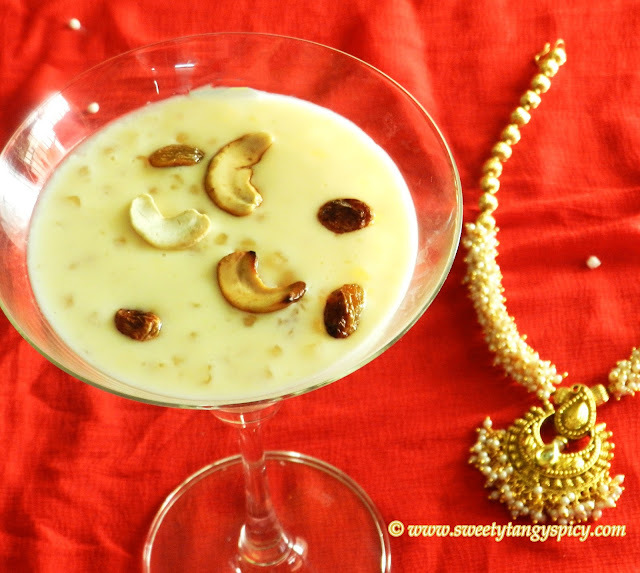 It also goes well with steamed rice and chapatis. Any fish can be used to make this dish, but for this recipe fish with firm flesh is usually preferred. 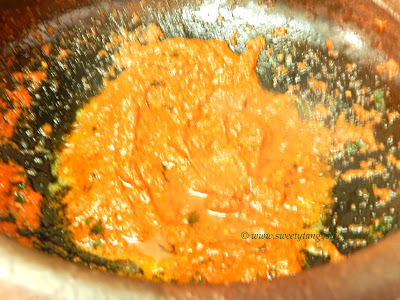 Also, this curry taste best the day after it is prepared and tastier in the following days. 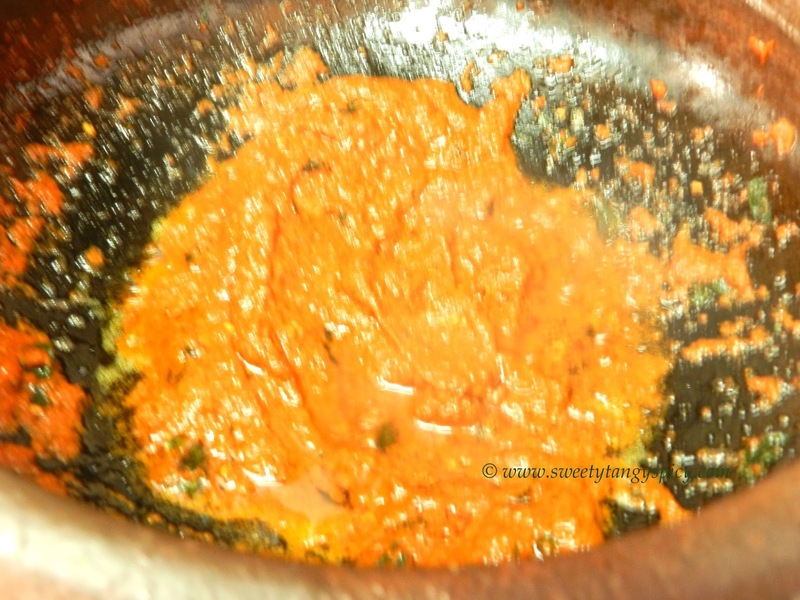 As I already said, this dish is very spicy, if you want, you can replace one spoon of chili powder with Kashmiri chilli powder or red chili paste. Both will reduce the spiciness and will compensate the colour also. 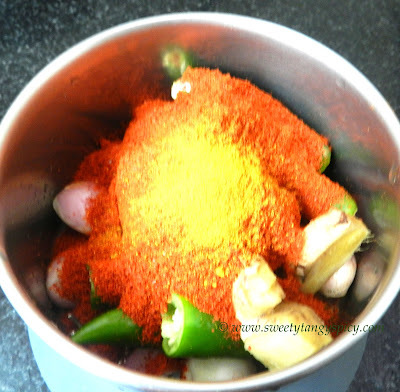 Take 15 to 16 shallots, 3 green chillies, 2" piece ginger, 1/2 teaspoon turmeric powder, 2 1/2 tablespoon chilli powder in a mixer grinder. Make a smooth paste of it. Add water as needed. Then we will saute this paste in a clay pot. 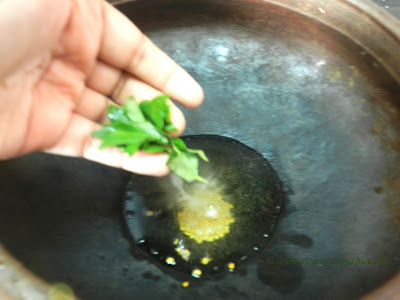 For that, Heat 3 tablespoon oil and add fenugreek seeds for two seconds. 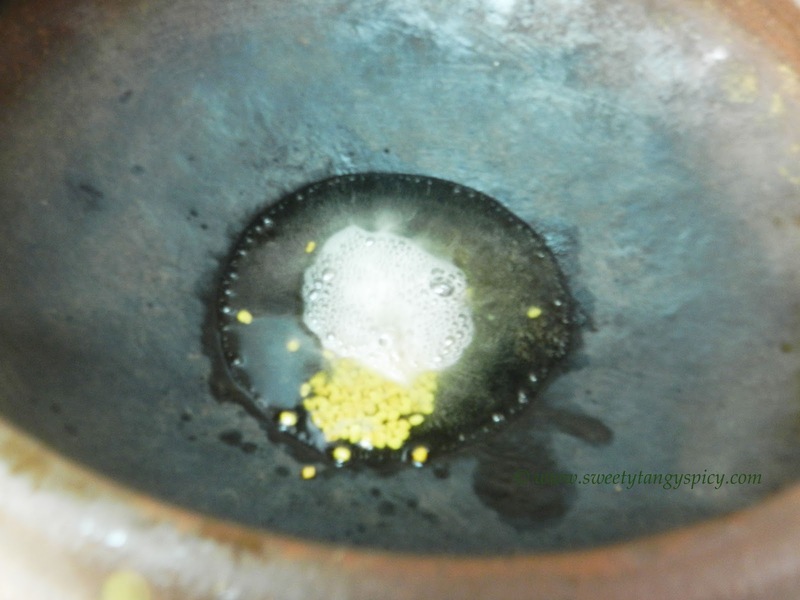 Saute till all the water evaporates and oil separate from the mixture. Add about 3 cups of water and salt as required, mix well. Once it starts to boil, reduce the heat to low and add fish pieces. 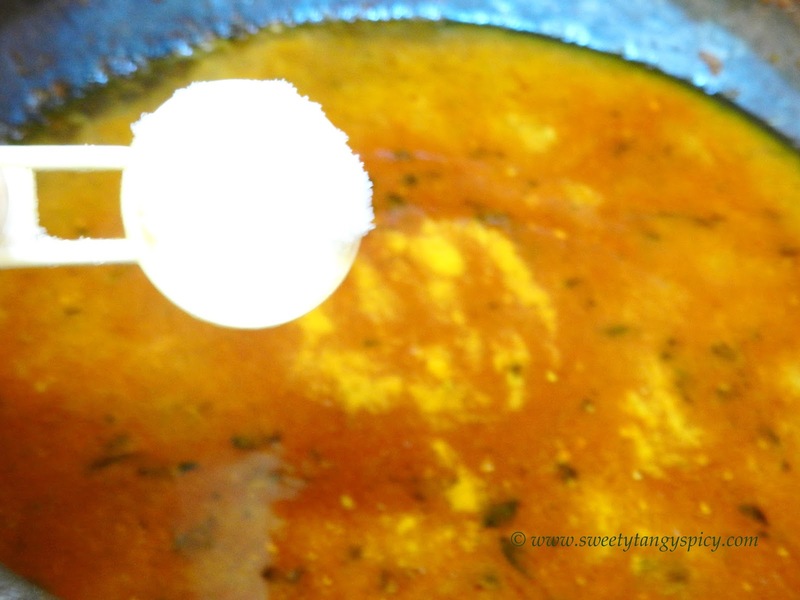 Cook on low flame until the oil separates and the gravy thickens. The gravy will be much darker in colour at the end. Do a taste test in between and add salt if needed. 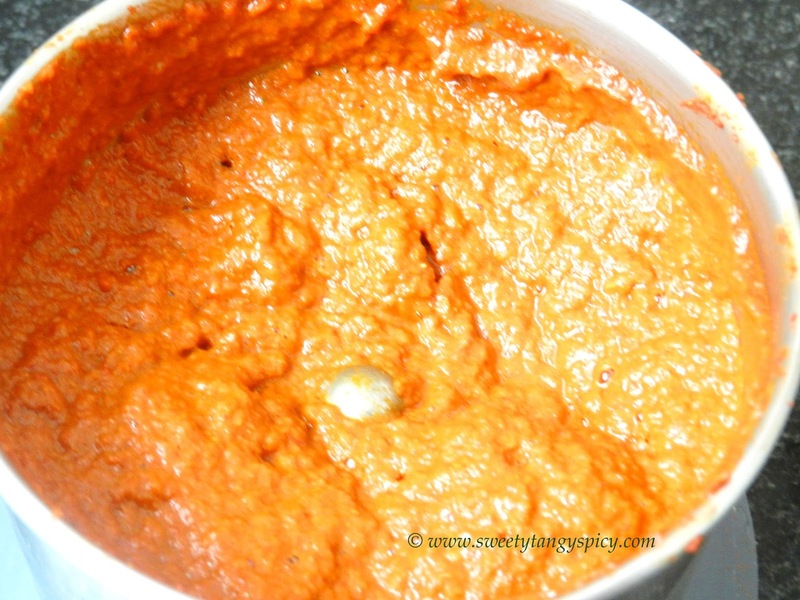 Grind all the ingredients under "to grind" and make a fine paste. Add water if necessary. 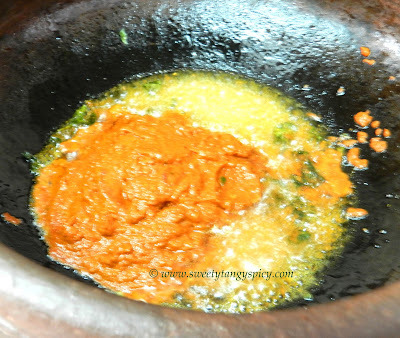 Heat oil in a clay pot (manchatti) and saute the prepared chilli paste till raw smell leaves and oil separates. Add 3 cups of water and let it boil. 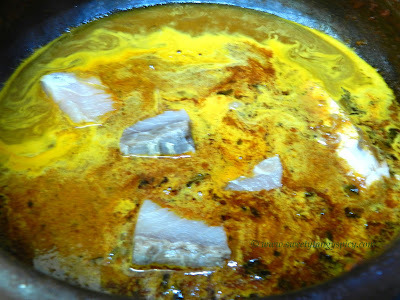 Once the gravy started to boil, add pot tamarind, salt and fish pieces. Reduce the flame to low and cook till the gravy thickens and oil separate. Swirl in between. 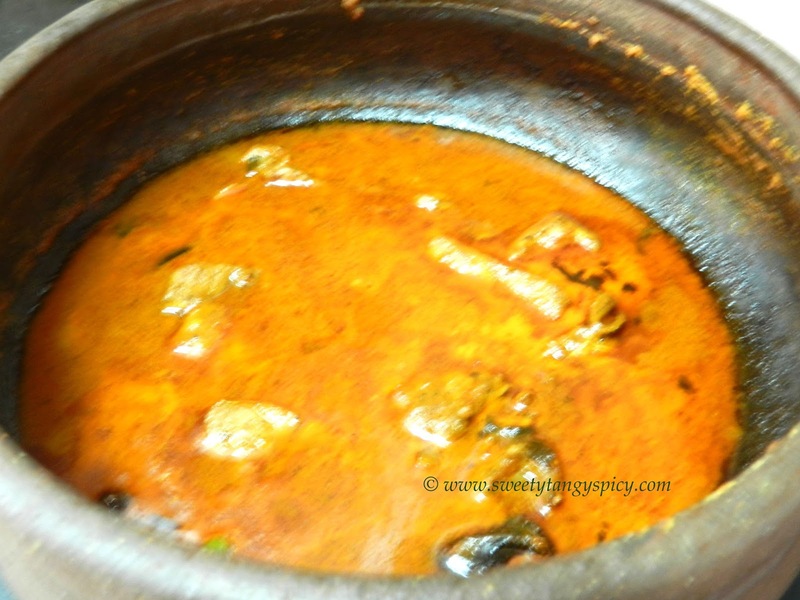 Spicy fish curry is ready to serve. Have it with steamed rice, chapati or dosa and of course with the most wonderful combination, the tapioca / kappa. 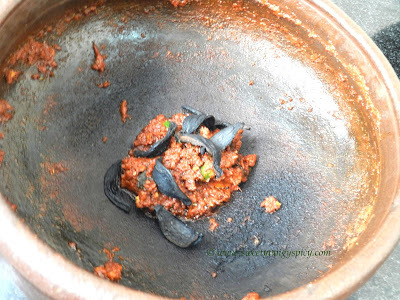 It is a very spicy dish, you can reduce the amount of chili powder or can be replaced with Kashmiri chili powder or red chilli paste if you want. The quantity of pot tamarind depends entirely on its strength. This dish taste much better, the next day of its preparation. You can avoid onions if you want to store it more days.